Austin Moffat is Ignite Now Media’s Bookkeeper. 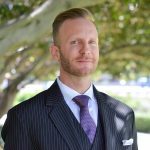 Originally from Fallbrook, California, Austin graduated from BYU-I, and has since been working in the marketing industry for well over two years. With a genuine interest in analyzing data and problem solving, Austin enjoys having a role in a company’s growth. Before coming to Ignite Now Media, Austin worked at Access Medical, a custom wheelchair company in Carlsbad, as its lead accountant. He also acted as Staff Accountant at NeuroGym, an Internet marketing company in Rancho Santa Fe. 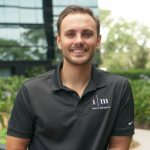 Austin believes that you should “work hard and be nice to people.” When he was younger, he played nationally-ranked soccer clubs in Southern California, as well as college soccer in San Diego and Utah. You can now find him playing Pickleball on the weekends.